Niue Silver Hawksbill Turtle Coins are continuations of an increasingly popular Silver Taku series which the New Zealand Mint has introduced to the world. Though only in existence for a few years, they have grown dramatically in fame. These coins merge the beautiful design which captures the ocean's beauty with the investor and collector appeal of one ounce bullion silver with a two dollar face value. Niue Silver Hawksbill Turtle Coins represent the most beloved and popular coin series produced by the New Zealand Mint. They are also known as the Taku coins. The mint in New Zealand began striking these flawless gems every year in 2010 on behalf of the tiny Pacific island nation of Niue. In only seven years it has garnered major attention in the global numismatic and investing marketplaces. The theme of the coin series is the Hawksbill Turtle, affectionately referred to throughout the South Pacific as the Taku. This beautiful sea turtle calls the waters which surround the islands nation of Fiji its original home. The impressive creatures have been sighted from time to time near the Cook Islands in the Cook Straits. They migrate annually to the northern New Zealand shores of the North Island. The animals earned their name because of their sharp beaks. These turtles are renowned for their unusually brilliant and bright colors which decorate their shells. Unfortunately they are an endangered species. The New Zealand Mint prides itself on producing these gems to the high standards of finish and quality evident in the Canadian Maple Leaf and American Silver Eagle coins. Every year, the image on the front of the coins remains the same, while the back of the coins changes annually. Well-known metals producer the Sunshine Mint assumed production of the coin series beginning in 2016. What sets this coin apart from other bullion programs is the relatively limited mintages which are closely restricted. There were only 350,000 of these struck in 2016. Compare this to the multiple millions of Canadian Maple Leafs and American Eagles struck each year, and you understand the relative rarity of these bullion silver coins. The Niue Silver Hawksbill Turtle Coins bullion are guaranteed by the New Zealand Mint for the issues from 2010 through 2015 and by the Sunshine Mint from 2016 on to meet the promised specifications for silver purity, weight, and content. Coin aficionados use the word “obverse” to refer to the front of a coin. Niue Silver Hawksbill Turtle Coins contain an obverse that features a newly styled design of the Hawksbill turtle or Taku. On this particular year's issue, the turtle is swimming through shallow waters with little bubbles all around it. A small slice of the left side obverse contains a special dramatic mirror finish. It has the word “Turtle” engraved inside this area. Most of this obverse is finished in a frosted look to clearly demarcate the water from the Taku turtle itself. The same coin enthusiasts utilize the world “reverse” to reference the back of a coin. Niue Silver Hawksbill Turtle Coins feature a reverse with the commonly employed picture of the Queen of England which commonwealth nation member states include on the reverse of their coinage. This right profile facing portrayal of Her Majesty Queen Elizabeth II was created by Ian Rank-Broadley back in 1998. In this engraving is the name of “NIUE” at the top, the denomination of “TWO DOLLARS” on the right side, the name “ELIZABETH II” on the left side, and the year of minting “2017” on the bottom rim. The initials IRB for the design creator are etched in tiny letters below Her Majesty's neck. Niue Silver Hawksbill Turtle Coins are minted with legal tender and face value of $2 within the island nation of Niue. This amount pales in comparison to the intrinsic value these coins contain in silver. On top of the silver prices, the market value is also made up of some additional premium which the coins gain from their limited mintages and perceived collectors' value. It goes a long way to explain why the coins sell for substantially higher prices than the spot price of silver. Market value is the key component to these coins as far as the investors and collectors are concerned. This value is what sets the portfolio values which contain them, such as in a self directed IRA. Silver values will rise and fall throughout the trading week. Naturally the Niue Silver Hawksbill Turtle Coins values will go up and down alongside them. It is simple and quick to access the spot prices of silver, gold, platinum, and palladium when you click on the link to our home page. Can IRA Accounts Contain Niue Silver Hawksbill Turtle Coins? Niue Silver Hawksbill Turtle Coins are almost unique because of the country which produces them and their one of a kind appearance. With their limited bullion mintages, it is a fair question to ask if the IRS will permit your precious metals IRA to include them. 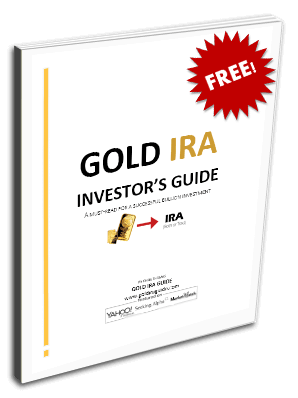 In order to open such an account, you will first need to start by having your account administrator make at least $5,000 in precious metals purchases for your IRA. Later on, you may decide to add additional silver and other precious metals in any amount that is at least $1,000 per purchase. Concerning these beautiful coins, the IRS insists on them passing two litmus tests to be included in the self directed IRA portfolios. They must be at least 99.9% pure silver, which they are. The other test involves the collectability and premium on top of silver prices. Unfortunately for these gems, the IRS determined that they are too collectable and have too high of a premium over silver spot prices to be included in your IRA. Even though they can not be inventoried in these precious metals IRA accounts, they still make wonderful investment and collectable choices in other forms of retirement and investment accounts. Contact a dependable world coin dealer or bullion shop in order to acquire some of these standout coins.